If you have considered the different controversies and aspects of animal testing, you might now have a sense of where you stand on the issue. You may support certain aspects of animal testing or perhaps you fully support animal testing for any purposes. Alternately, you may be completely against animal testing and may have chosen to support an animal rights group that campaign against animal testing. For those who do, in some form, support animal testing, you may be interested to read more or get involved with an organisation that supports or is involved in the regulation of animal testing, Your support might involve donations to provide education on the benefits of animal testing or it might involve volunteer work to spread the information about animals in testing and how they are used, particularly for biomedical research. When choosing an organisation to get involved with, you should look at their mission statement to get a sense of their approach to animal testing as well as which areas they focus on in terms of involvement. Some agencies that support animal testing are more aggressive in the sense that their focus is more on animals and less on alternatives. Others are adamant that animal testing should occur but only if no alternative exists. You will need to decide if you are comfortable with the level of support the organisation has for animal testing. Pro-Test is a group based in Oxford that fully supports scientific research and animal testing. Their focus is on progressing human health and medicine while simultaneously dispelling fallacies around animal testing. Thus, they take an approach that embraces education and improved knowledge about how animal testing works and also, how animals are treated. The Research Defence Society is one of the leading groups in favour of animal testing. Their representation involves many scientists and researchers. In addition, they do still embrace alternatives to animals in research, which means they hope to reduce the number of animals used but only where appropriate. Ultimately, the Research Defence Society aims to continue medical progress through animal testing until better alternatives are available to warrant no animal testing. Their stance is one that entails using animals in a regulated manner and also under ethical and humane conditions. As mentioned, they also believe that animals should only be used when no other feasible alternative exists. This final stance also corresponds to a great majority of researchers in the field. The Royal Society is the national academy of science in the United Kingdom (UK). The Royal Society wholly supports animal testing and also focuses on the ethical and humane treatment of animals. Therefore, their approach is one of support for animal testing while still encouraging the development of alternative approaches to animal testing as well as respectful animal care. The Foundation for Biomedical Research is an older organisation in the UK that is strongly focused on education regarding safe and ethical treatment of animals. Their stance is that through the improvement of the public's understanding of animal testing, more transparent and humane research can be accomplished. Their belief in responsible animal use is underpinned by the organisation premise that animal testing is necessary for the betterment of human health and knowledge. In addition, they maintain a record of activities performed by animal rights activists that are illegal and harmful. Their focus also encompasses news and recent developments in the field of animal testing, which means they are a useful source for staying up-to-date if this area is of interest. Think carefully about your own opinions regarding animal testing. If you have concluded that you support animal testing and feel passionate enough to act on that support, then consider contacting an agency or regulatory body for more information on how you can participate. I believe that animals should not be tested on. We do not have the same organ systems so what is the point of testing on them when the results won't be accurate anyway. We don't need makeup or hair products that come from animals. We have organic ones or whatever that work just as well. Animals don't deserve cruelty. They deserve love. Instead of worrying about ourselves all the time and being selfish bastards, we should be concerned about our wildlife. Do you want to live on this planet for generations to come? Limit land development. STOP animal testing. Drive less. Plant more gardens! SAVE OUR EARTH! SAVE OUR WILDLIFE! 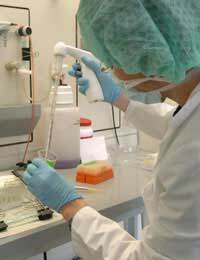 I experiminting on animals is cruel and inhumane, Nowadays you can test human cells in a petri dish instead, they are poor test subjects because they are not exactly like humans, 95% of animals are not protected under the AWA and testin animals are more expensive.